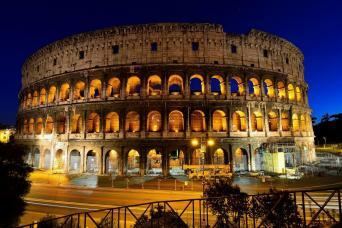 Rome, "The Eternal City," combines 2,500 years of history, art, architecture, religion and culture. 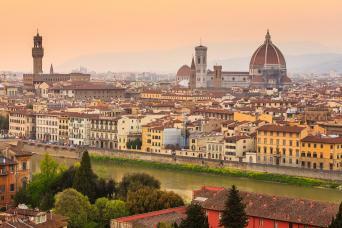 Few places in the world will you find such a diverse collection of attractions, food, museums and historic buildings. Around virtually every corner is another dramatic vista, from the view of the Tiber River to the remembered elegance of the Colosseum to the grandeur of St. Peter's Basilica. If you've never been to Rome, or if you haven't visited lately, fascinating, delicious and engaging sights await you. 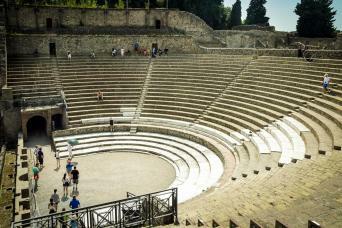 If you're heading to Rome this year, you'll find a myriad of sightseeing options. Things to do in Rome include the must-sees, such as the Roman Forum, the Spanish Steps and Trevi Fountain as well as lesser known, but fascinating attractions, like Palantine Hill, the Catacombs and the ruins of the Circus Maximus. As incredible the City of Rome can be, no trip to Italy would be complete without looking into day trips to one the many attractions that lie just outside the Italian capital. You can take Pompeii tours from Rome to witness what's left of that doomed city near Naples, enjoy a scenic drive along the Amalfi Coast to the charming seaside village of Positano, take a wine tasting tour of Tuscany, or enjoy a relaxing boat ride to the lovely island of Capri. If you're planning a trip to Rome this year, you can be assured that you'll find Rome tours to suit your budget and interests. 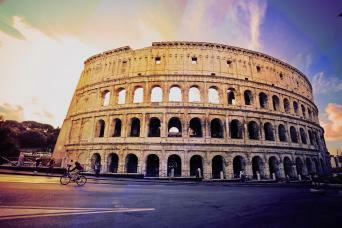 Whether your passion is art, food, fashion, architecture or history, Rome has plenty to enchant you. Gray Line has tours can help you get your bearings and decide on the Rome attractions that you want to re-visit later in your stay in the “Eternal City”. Whether it’s your first time or if you’ve been there a dozen times, deciding what to do in Rome can be challenging. There are just so many choices. Plus, special exhibits and hours change regularly. You can count on Gray Line Rome to keep you up to date and in the know. 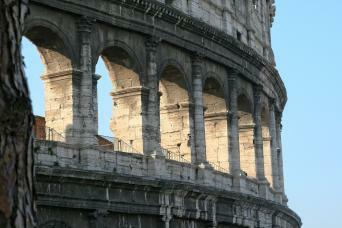 Gray Line Rome offers a complete line of sightseeing tours, designed for a wide range of interests. We have basic overview tours that let you become familiar with the city. 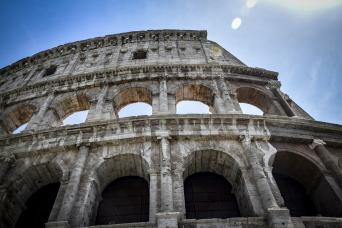 We have Pantheon tours and Colosseum tours that explore the fascinating ruins from the Roman Empire. 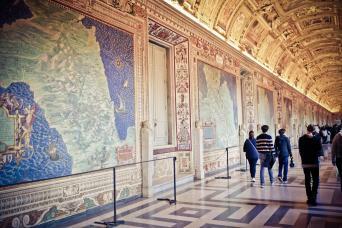 We have Vatican City tours that include visits to the Sistine Chapel and the many Vatican museums. We also have food tours, cooking classes, and walking tours that let you explore the small pockets and side streets of some of Rome's most fascinating neighborhoods. 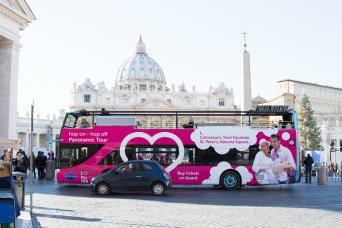 One of the most convenient and popular Rome sightseeing tours is Gray Line Rome's Hop-On Hop-Off bus tour. This one, two or three-day tour features more than a dozen stops and allows you to spend time at the attractions that interest you and not waste time at those that don't. You travel in style on a double-decker bus with recorded commentary (via headsets.) You can get off the bus as many times as you like and spend as long as you want to at each attraction. Gray Line Rome has its own illustrious history. We’ve been welcoming tourists to Rome and Italy since 1925. 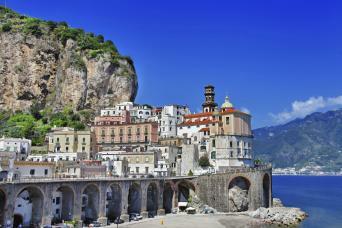 We are just the team you need to enjoy the sights of Rome and the surrounding area properly.